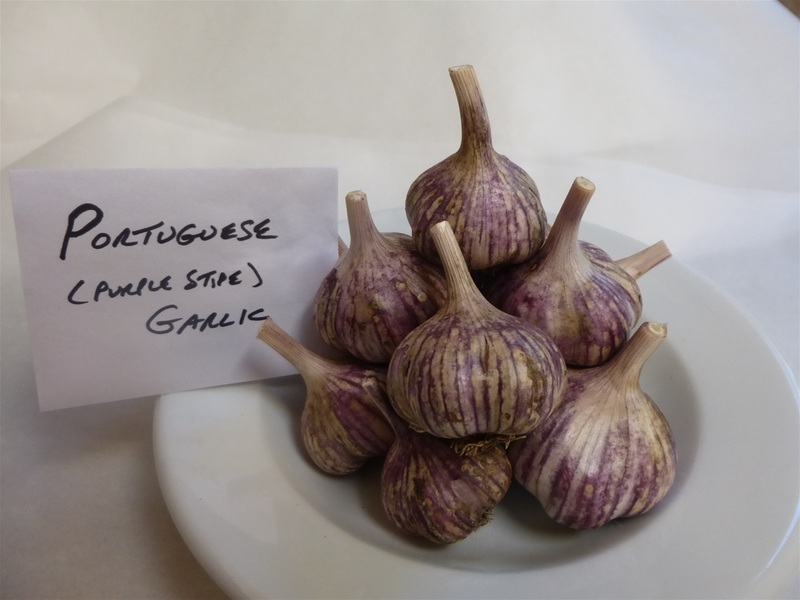 The Portuguese, I highly suspect is a "Turban" Garlic and not a (Purple Stripe) as I've originally though. I got this seed from "Salt Spring Island Seed" but they did not repond back to me on the kind of garlic this was... My reseach pictures shows that it may be infact a Turbin by look. This garlic is quite unique in it's paper husk... it is such a beautiful garlic, the jewel of our garlics for it's beauty... The paper husk is thin and quite fragile but is none the less beautiful and a fantastic garlic.